Karakamia was AWC’s first sanctuary, protecting 268 hectares of wetlands, granite outcrops, and large areas of Jarrah, Wandoo, and Marri woodlands. The entire sanctuary is surrounded by a feral-proof fence, which excludes cats and foxes. Karakamia is home to many species, some of which are declining or regionally extinct, providing a snapshot of what the Australian bush might have been like 200 years ago. Karakamia was initially established by our founder, Martin Copley, and became AWC’s first wildlife sanctuary. Covering 268 hectares in the Jarrah Forest Bioregion, Karakamia is surrounded by a special purpose conservation fence and is completely feral predator-free. In the absence of foxes and cats, Karakamia hosts one of the most significant remaining wild populations of the critically endangered Woylie. The property contains a diversity of habitats – such as Jarrah forest and Marri and Wandoo woodland – supporting a high number of bird and reptile species. There are important populations of the Tammar Wallaby, Quenda and the Common Brushtail Possum. The critically endangered Western Ringtail Possum has also been reintroduced to Karakamia and persists as a small population. As well as playing an active role in the conservation of threatened mammals, Karakamia hosts a public education program. 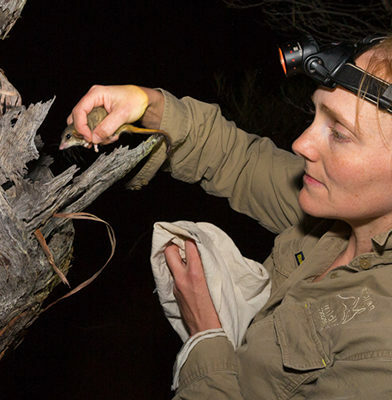 AWC staff take guided nocturnal walks, introducing guests to some of the fauna that populated the area nearly 200 years ago, before the arrival of feral predators – a bush that was alive with small mammals such as the Woylie! Karakamia sits on the western extremity of the granitic Yilgarn Block, one of the oldest landforms on earth, that formed over 2.5 billion years ago. 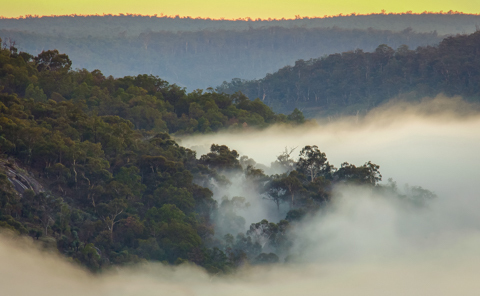 The hills and valleys of the Darling Range were formed by rivers and streams flowing off the ancient plateau towards the sea. Cookes Brook runs through the heart of the sanctuary, fed by winter flowing watercourses that dissect the plateau. On steep hillsides, the ancient granite of the Yilgarn Block is exposed. 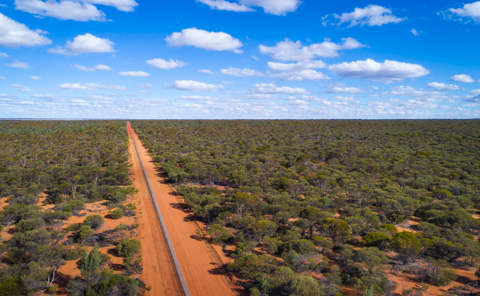 The 268 hectare property is a mosaic of Jarrah forest, Marri woodland, Wandoo woodland, granitic heathlands and shrublands, and riparian zones. The Jarrah forest grows predominantly on the lateritic plateaus, with Marri woodland on the slopes and Wandoo woodland on clay soils beneath exposed granite. Heathlands and shrublands appear in shallow soils around exposed granite, with Blackbutt lower down the slopes, and Flooded Gum and sedge along the brook. Nearly 250 species of plants are known to occur at Karakamia Sanctuary, including a number of priority species. A field herbarium has been established to provide a valuable reference for visiting researchers and students. Karakamia provides a powerful example of the benefits to wildlife that occur when feral predators are eradicated. 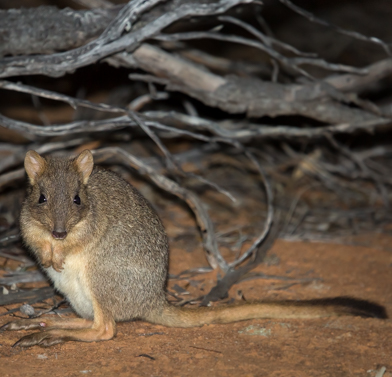 When first acquired, Karakamia Sanctuary was home to a limited range of native mammals including the Echidna, Western Grey Kangaroo, Common Brushtail Possum, and Western Brush Wallaby. As is currently the case with many National Parks in the region, many of the former small-medium sized mammals were missing. The establishment of a feral-proof fence around Karakamia in 1994 – and the permanent eradication of foxes and cats – has enabled the reintroduction of wild populations of key mammal species including the Woylie, the Quenda, and the Tammar Wallaby. A number of species present in the region, including the Mardo (Yellow-footed Antechinus) have also benefited from this predator exclusion and have subsequently recolonised the sanctuary. The sanctuary is home to 32 reptiles, 12 frogs and 124 bird species, including two threatened Black Cockatoo species (Baudin’s and Carnaby’s) and the threatened forest sub-species of the magnificent Red-tailed Black Cockatoo (or ‘Karak’), from which the sanctuary derives its name. Feral animal control programs to maintain the feral-free status of the sanctuary. The feral-proof fence that surrounds the sanctuary excludes foxes and cats as well as all large herbivores such as cattle, goats and deer. The fence itself needs to be maintained, and ongoing monitoring is required to prevent any incursions into the fenced area. If foxes or cats breach the fence (eg if a tree falls), they are swiftly removed through shooting or baiting. 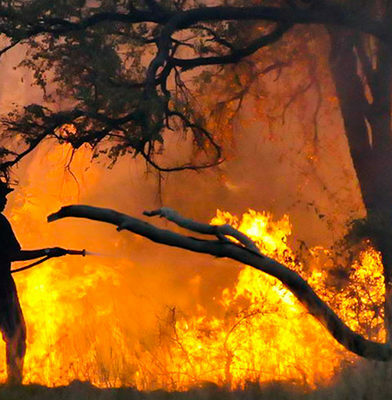 Fire management at Karakamia involves annual prescribed burns to protect built infrastructure and to create a mosaic of different age-since-fire vegetation across the sanctuary. This fire pattern ensures that if a wildfire occurs, the entire sanctuary is not burnt, and unburnt areas will operate as a refuge for wildlife. Burning usually takes place in autumn and winter, and often involves the local rural fire service. Fire breaks are also maintained across the sanctuary. 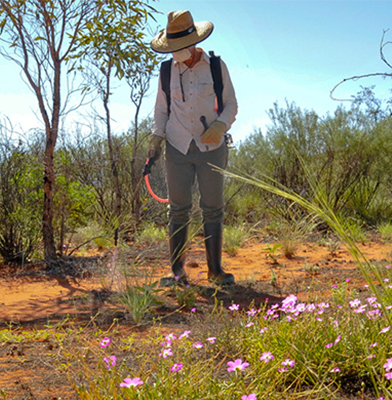 Revegetation of small areas that were previously cleared, and ongoing weed control – focusing on Cape Weed, One Leaf Cape Tulip, Arum Lily and African daisies. Biological surveys track the ecological health of the sanctuary and its wildlife. At Karakamia, we undertake more than 1,300 live trap-nights, spotlight surveys and about 4,500 camera trap-nights each year. 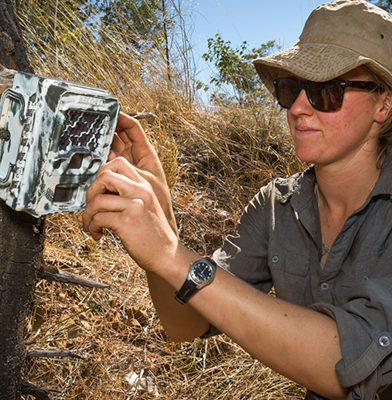 This enables us to measure a suite of ecological health indicators including the abundance of reintroduced resident animals, and the extent of threats from fire and weeds. 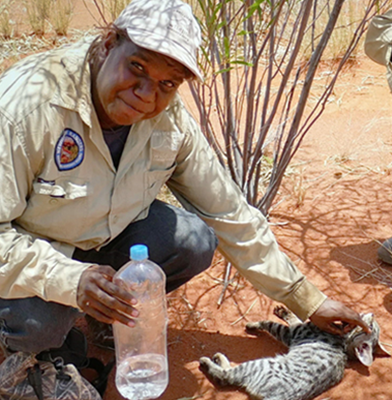 Karakamia has a long history of successful wildlife translocations. Eight species of small to medium sized mammals have been reintroduced to the sanctuary, either to restore locally extinct populations or to augment existing populations. The Woylie, Quenda, Tammar Wallaby, and Brushtail Possum reintroductions have been successful, and their populations have become large enough to allow translocation out of Karakamia to help restock other AWC sanctuaries and national parks. Small populations of Western Ringtail Possum and Water Rat persist on Karakamia, although suitable habitat for both species is limited on the sanctuary. Trial reintroductions of the Quokka and Numbat have not established. When Karakamia was established, the Woylie (Bettongia penicillata) was regionally extinct. After being reintroduced to Karakamia in partnership with the WA Government, the sanctuary population has been stable for the last 10 years. By contrast, the overall Woylie population in southwestern Australia has declined by 90% in the last 15 years, making the maintenance of the Karakamia population especially important. Foxes and cats are common in the region and have a devastating effect on wildlife. They have been a primary cause of local extinction for most small-medium sized mammals. Karakamia is one of the few fox and cat-free areas of greater than 250 hectares on the Western Australian mainland. The stable populations of threatened mammals at the sanctuary are living proof of the huge impact feral predation has on Australia’s wildlife.